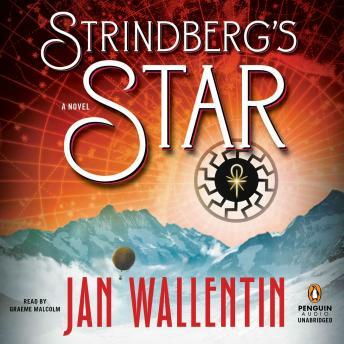 A multilayered international thrill ride at breakneck pace, reminiscent of The Rule of FourThe Arctic, 1897: Nils Strindberg crashes his hydrogen balloon during the mysterious Andrée Expedition to the North Pole. Germany, 1942: Gruesome and inexplicable experiments are performed on concentration camp prisoners. Sweden, present-day: Cave diver Erik Hall finds a dead body wearing an ancient ankh, buried deep in an abandoned mine. Religious symbol expert Don Titelman seeks out Erik to study the ankh—but finds Erik dead. Don is the prime suspect, and soon he’s being chased across Europe to escape a secret society that will do anything to get their hands on the ankh. . . . In this international bestseller, each of these fascinating strands weaves together to create a mind-blowing cross-genre thriller that includes arctic explorers, a secret railroad network, Norse mythology, Nazis, and ancient symbols—and a shocking secret that’s been hidden for centuries.